Public opinion in Somaliland is currently preoccupied with the case of Mr. Ahmed Osman Guelleh, a prominent Somaliland-Djibouti tycoon and owner of Somaliland Beverage Industries against the authorities of the Republic of Djibouti. The political intrigue, the international manhunt (and possible INTERPOL involvement), as well as the clan dimensions of the case are all very interesting, but essentially, this is a case of corruption on a scale never seen before in the region, one that is directly taking advantage of the people of Somaliland. A press conference was held on 4 April by the President of Somaliland’s spokesman, detailing the case against Mr. Guelleh and explaining the Republic of Somaliland’s involvement in mediating between the concerned parties. 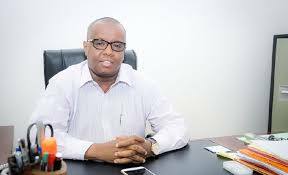 “There is a standing debt owed by GSK Group, a company owned by Mr. Ahmed Osman Guelleh to the French bank BCIMR, a subsidiary of the BRED cooperative group which is in turn owned by the international bank BMCE”. What is interesting here, is the link between BCIMR, a Djibouti-based bank, and the Republic of Somaliland, a country where no international bank has opened an office to date. Why would a foreign bank that is – in theory – in full compliance with international banking standards with all of their risk-management directives and procedures choose to take the risk of operating in an unrecognised state such as Somaliland? The answer might lie a lot closer than one thinks, it revolves around the very basic needs of elite oligarchs in need of financial services including the secure storage for proceeds of their Somaliland operations, and a group of bankers willing to facilitate these services for a fee. The names mentioned by the Somaliland Presidential spokesman are important here: “BCIMR” … “BRED” … and “BMCE”. BCIMR’s Yahya on October 1. Yahya presented an optimistic prediction for the future if security was achieved, noting that Somali businesspeople that deal in every imaginable commodity sold throughout the region are the foundation of BCIMR’s deposit base. Somali qat (a leaf that produces a mild narcotic effect when chewed) livestock, sugar, pasta, edible oil and cement in particular have enjoyed particularly high profits in recent years; and are the backbone of the regional economy. A score of dealers in these commodities have current individual accounts worth more than $150 million each, and there are hundreds of other accounts in the seven to eight-figure range, Yahya said. And those are just the accounts for individual Somali businesspeople. When you add corporate, local and national government, NGO, international organization and individual accounts, Yahya said that BCIMR’s projected growth for 2009 was in the process of being revised upward, despite the global economic crisis. As soon as the security situation permits, Yahya continued, BCIMR plans to provide financing for companies involved in Somalia infrastructure repair projects, such as the Berbera port renovation project proposed by the French-owned Bollore Africa Logistics Group. Who Benefits From Somalia’s Continuing Disarray? At a time when local, regional and international actors are coalescing behind the TFG, friends of Somalia have to acknowledge who benefits from disarray in Somalia and discuss ways that they could reap similar benefits from a re-unified Somalia, Yahya said. Local and international businesspeople make astronomical profits (despite the risk) since they are relieved of the necessity of paying the normal costs of doing business in a stable society. Front-line states receive income, as well as international assistance, that would go to a unified Somalia if it existed. And, international organizations and NGOs that are created to work in Somalia expend the bulk of their resources on supporting ever-increasing staffs that work “on” Somalia in Nairobi, but with few in-country initiatives. 1- The Somalilander business elites, particularly ones dealing with commodities are the foundation of BCIMR’s deposit base. 2- That a score of these businessmen have individual accounts with the bank worth more than $150 million, each. The Oxford dictionary describe a score as “a group or set of twenty or about twenty”. To have 20 businessmen from Somaliland have individual accounts worth more than 150M USD brings a total foreign-holdings of Somaliland oligarchs in excess $2 billion! For businesses operating in such an impoverished state, with a population suffering acute deprivation, to have profits of this magnitude is nothing short of national treason. Somaliland has inadvertently created a climate ripe for huge businesses to get infinitely richer on the backs of the poor, unemployed and suffering people of Somaliland. Many of the most basic commodities are signed off to be monopolised by one mega-dealer who owns the exclusive rights to import the commodity and set its price with little scrutiny by the government. This is very dangerous. And to make matters worse, these massive businesses would choose to store their earnings in offshore accounts in Djibouti instead of investing in the country, creating jobs, and contributing to the local economy. There is also the issue of inflation exacerbated by these huge sums of money leaving the country and removing much needed hard currency from circulation. BCIMR being the largest bank in the region, is a subsidiary of BRED Banque Populaire. This entity owns 51% of the company whilst 16% is owned by a Yemeni bank and the remainder 33% is owned by… wait for it… The Government of Djibouti. The chain of corruption engulfs not only greedy Somaliland oligarchs and a French bank, but it extends to the Government of Djibouti, who benefits directly from the current situation of complete monopoly of Somaliland’s markets by a few exceedingly powerful oligarchs such as Mr. Guelleh. Do not get distracted by the games being played by Mr. Guelleh or the Government of Djibouti. The only real losers are the people of Somaliland.